Tile is durable and versatile, is available in a wide variety of bold or neutral shapes, colors, and textures. When choosing your tile, you have the option to keep it subtle and classic or go bold. The choices are almost endless. 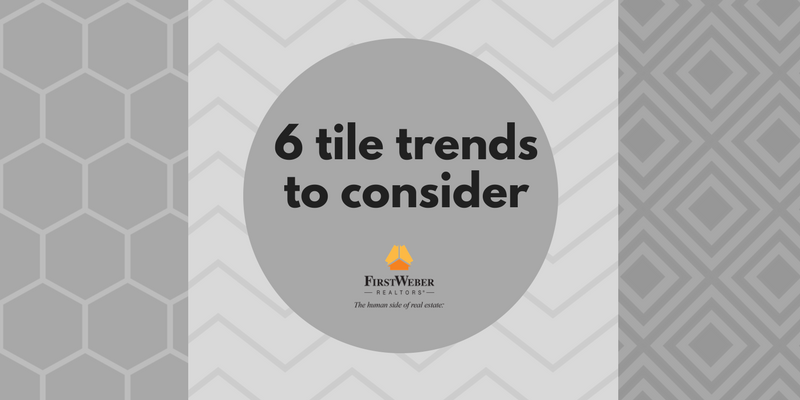 Break out of the box – go with hexagon or penny tile rather than the standard square. Try alternative layouts – there’s a lot of interest to be in simply going beyond the horizontal. You can make a big statement with standard tile just by getting creative with tile positioning. Mix and match – try rustic on the floor and elegant on the walls or a simple flooring layout with a more complex tile treatment on the walls. Go dimensional – there are many types of 3-D or molded tiles now that make a neutral tile look extra special. Stone & wood tiles – These look like the real thing! Fantastic effects can be made with large scale stone and wood-look tiles. With less grout lines, an elegance can be easily achieved. Durable, versatile and a very popular update to homes to create a new look without a total remodel. Your agent may be able to give you some pointers, maybe to recommend a contractor or give advice on what is popular in your area. Looking for a new place to watch the big game next year?